Chicago is currently facing a devastating surge in lethal violence in addition to staggering rates of poverty across Illinois. Policymakers and community leaders are struggling with finding short- and long-term solutions to stem the violence and allow neighborhoods to heal. In the meantime, communities are fearing for their own safety and grieving over lost parents, children, friends, and leaders every day. 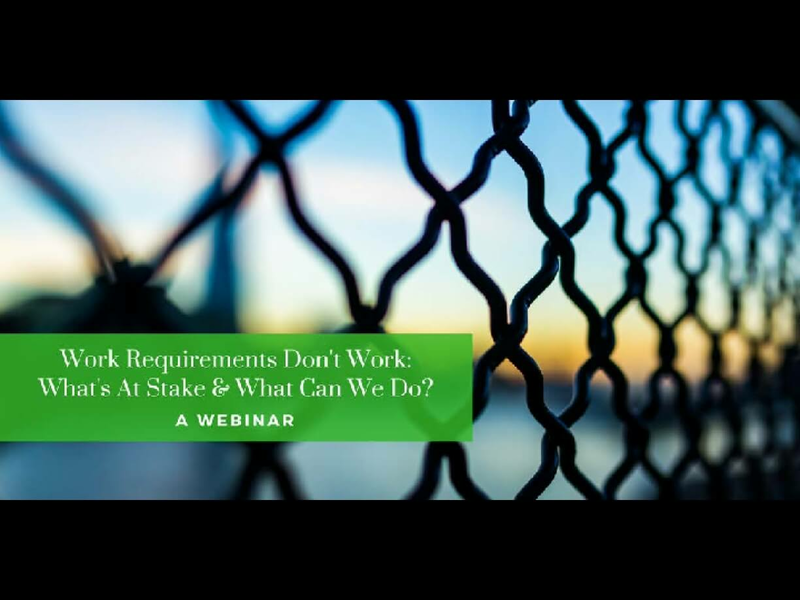 The stakes forgetting the solutions right could not be higher. Poverty and violence often intersect, feed one another, and share root causes. Neighborhoods with high levels of violence are also characterized by high levels of poverty, lack of adequate public services and educational opportunity, poorer health outcomes, asset and income inequality, and more. The underlying socioeconomic conditions in these neighborhoods perpetuate both violence and poverty. Furthermore, trauma can result from both violence and poverty. Unaddressed trauma worsens quality of life, makes it hard to rise out of poverty by posing barriers to success at school and work, and raises the likelihood of aggressive behavior. 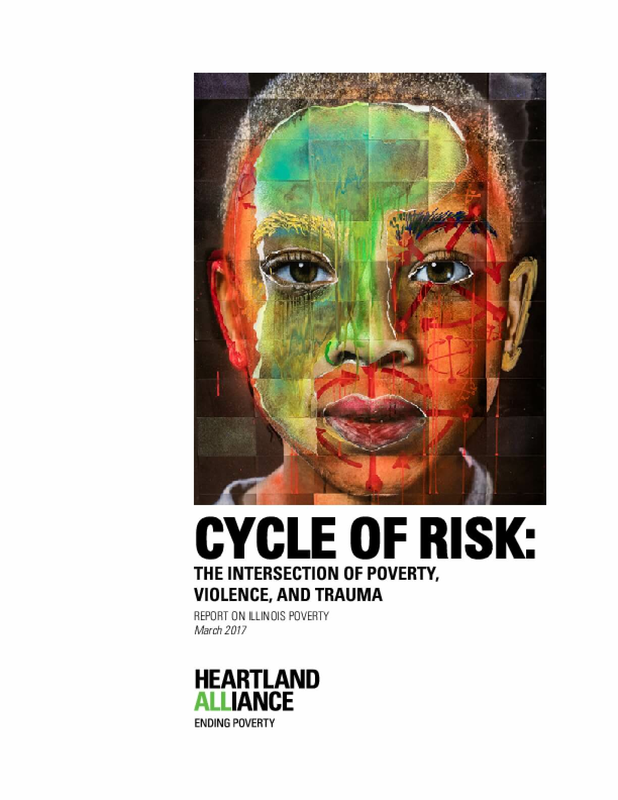 In this way, untreated trauma—coupled with easy gun availability and other factors—feeds the cycle of poverty and violence. Millions of people in Illinois experience poverty or are living on the brink. That societal position keeps opportunities out of reach and nearly guarantees worse outcomes in every quality of life domain—making ALL of us worse off. 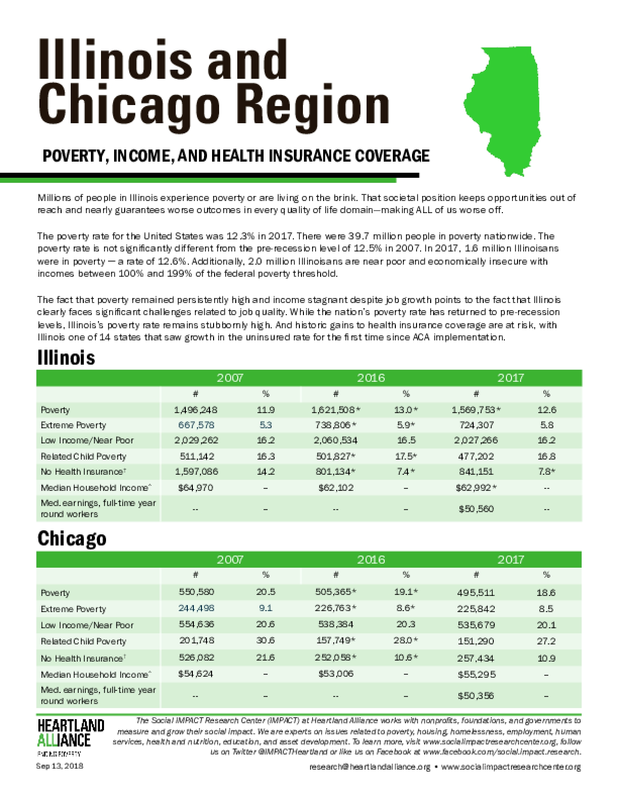 This fact sheet on poverty, income, and health insurance coverage in Illinois and the Chicago region, was created using the Census Bureau's release of local American Community Survey data. The poverty rate for the United States was 12.3% in 2017. There were 39.7 million people in poverty nationwide. The poverty rate is not significantly different from the pre-recession level of 12.5% in 2007. In 2017, 1.6 million Illinoisans were in poverty ─ a rate of 12.6%. 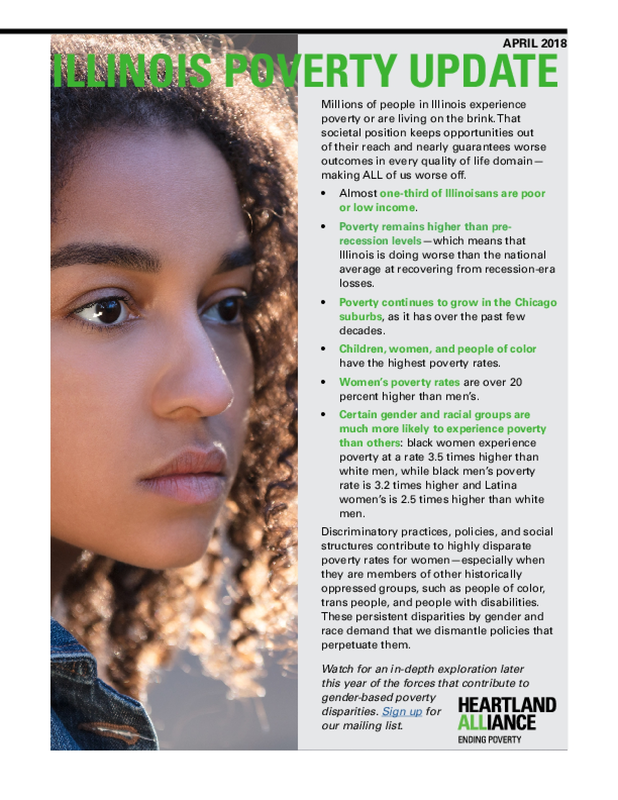 Additionally, 2.0 million Illinoisans are near poor and economically insecure with incomes between 100% and 199% of the federal poverty threshold. 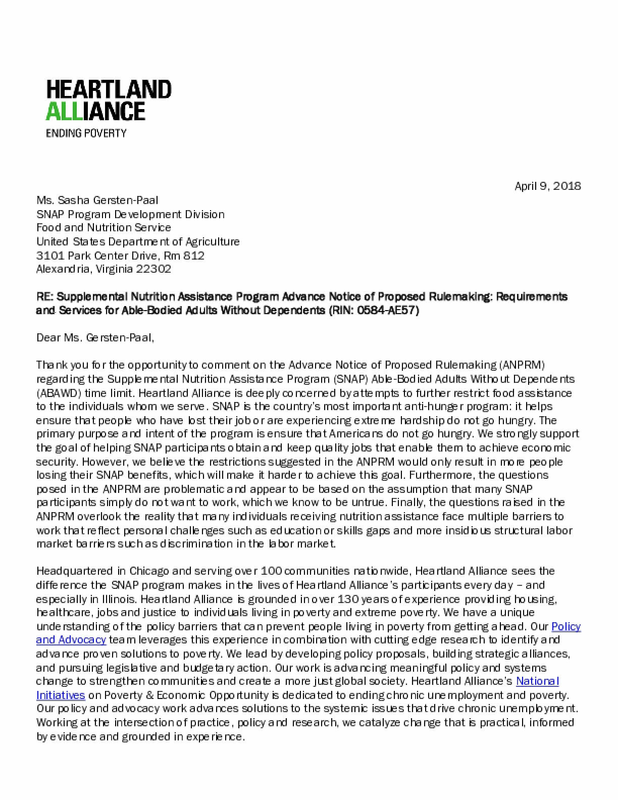 These are Heartland Alliance's comments in response to the USDA's Advance Notice of Proposed Rulemaking (ANPRM) regarding the Supplemental Nutrition Assistance Program (SNAP) Able-Bodied Adults Without Dependents (ABAWD) time limit. 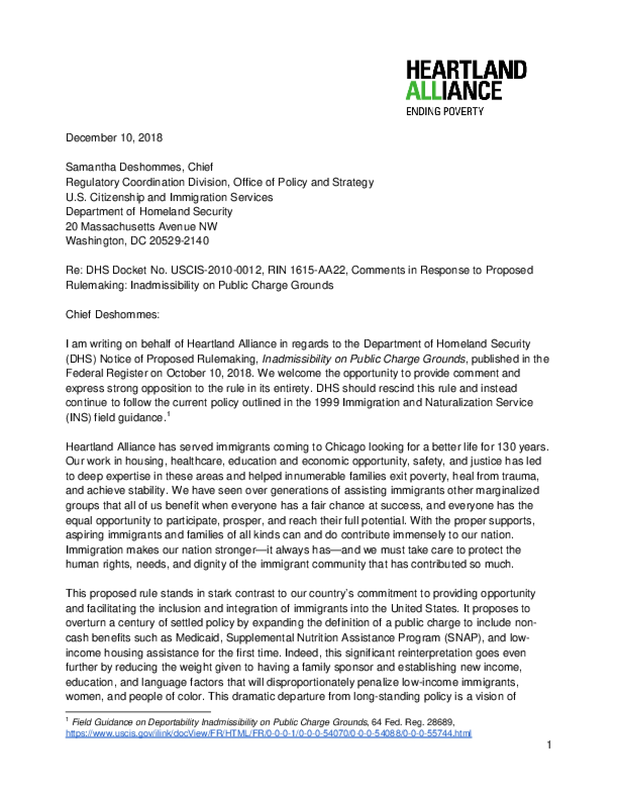 As these comments reflect, Heartland Alliance is deeply concerned by attempts to further restrict food assistance to the individuals whom we serve. SNAP is the country's most important anti-hunger program. 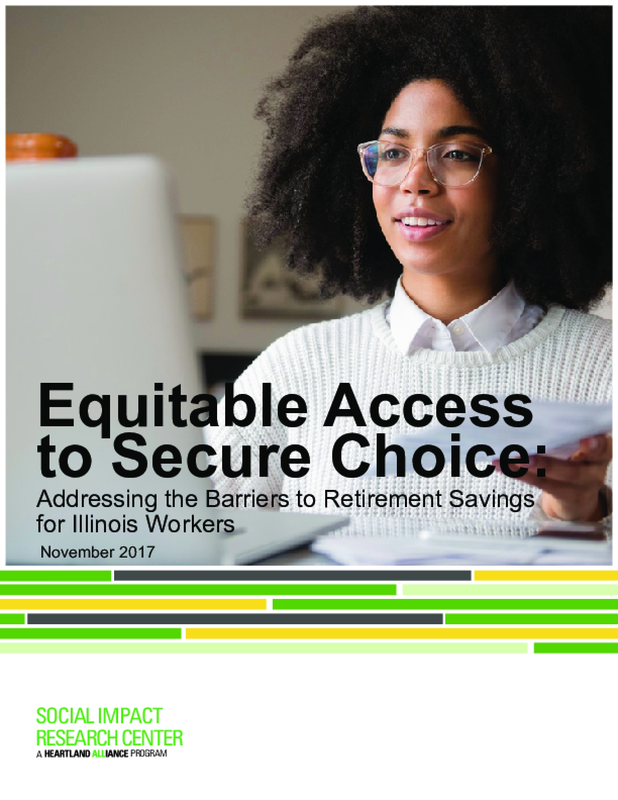 We strongly support the goal of helping SNAP participants obtain and keep quality jobs that enable them to achieve economic security. However, we believe the restrictions suggested in the ANPRM would only result in more people losing their SNAP benefits, which will make it harder to achieve this goal. 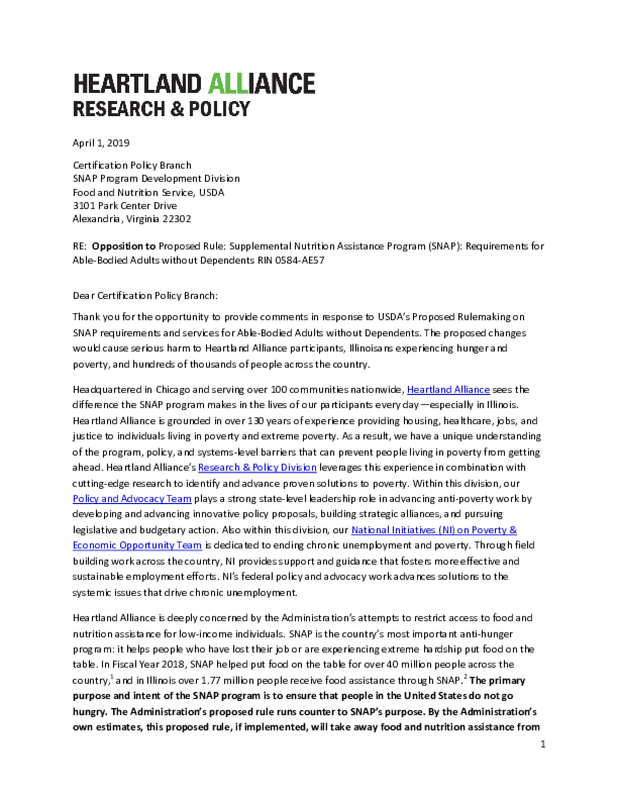 Furthermore, the questions posed in the ANPRM 1) appear to be based on the assumption that many SNAP participants simply do not want to work, which we know to be untrue and 2) overlook the reality that many individuals receiving nutrition assistance face multiple barriers to work that reflect personal challenges such as education or skills gaps and more insidious structural labor market barriers such as discrimination in the labor market.